Winter is coming. Miami might be the epicenter of summer all year long, but that doesn’t mean we have written off winter attire entirely! You can easily introduce lightweight jackets, dusters, and coats into your Floridian uniform without breaking a sweat. We all know which of our favorite cozy jackets we’ll be breaking out when the temperatures hit below 70 degrees this year. As the best mall in Miami, it’s only natural for us to have the six must-have jacket trends for our next South Florida cold front. Live life on the wild side. Zara’s snakeskin jacquard biker jacket has an edge made for the 350. 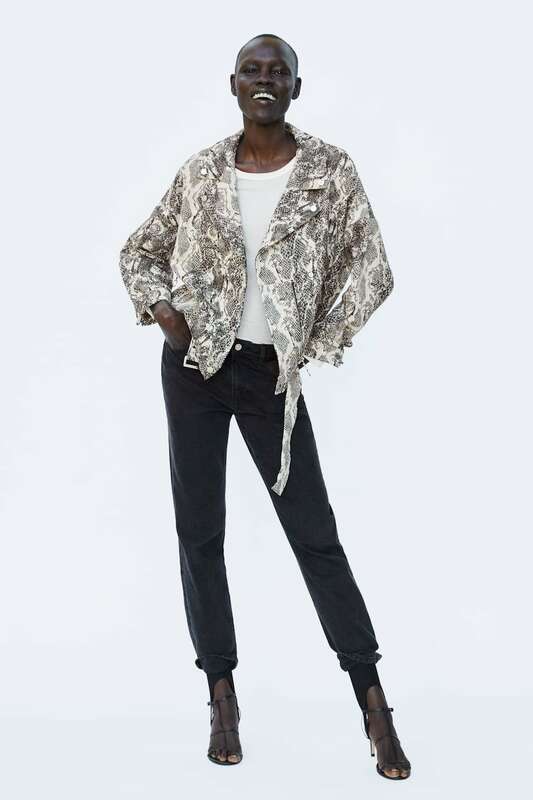 Throw this jacket on top of your favorite little black dress or a relaxed pair of denim to transition from fall to winter. Are you all business when it comes to blazers? Sandro’s tailored plaid jacket is professional with a touch of playful. The patterned blazer features a detachable brooch to add a frill to a boardroom classic. Style this blazer with wide-legged slacks at the 9-to-5 and leather leggings after dark. 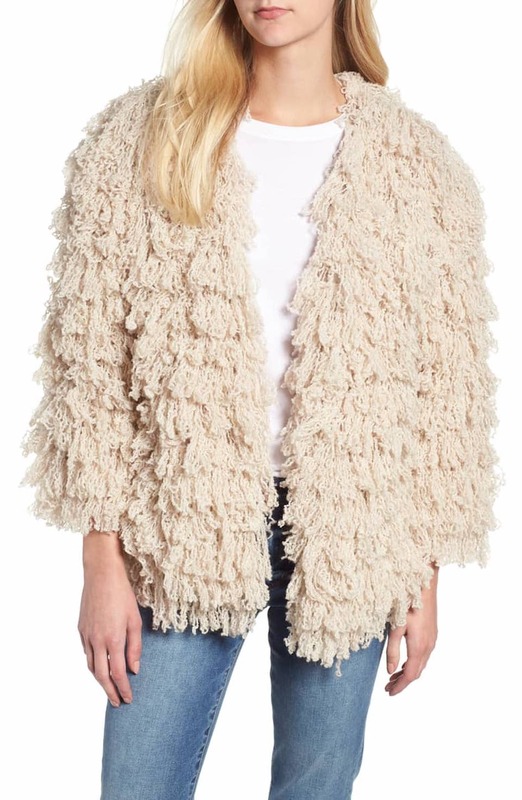 Cuddle up in Lou & Grey’s effortlessly cozy ‘Cream Puff’ jacket when the temperature dips. This fuzzy favorite is just as comfortable as it is cute. Rock this with your favorite aviators and light-wash jeans for a 1970s vibe. 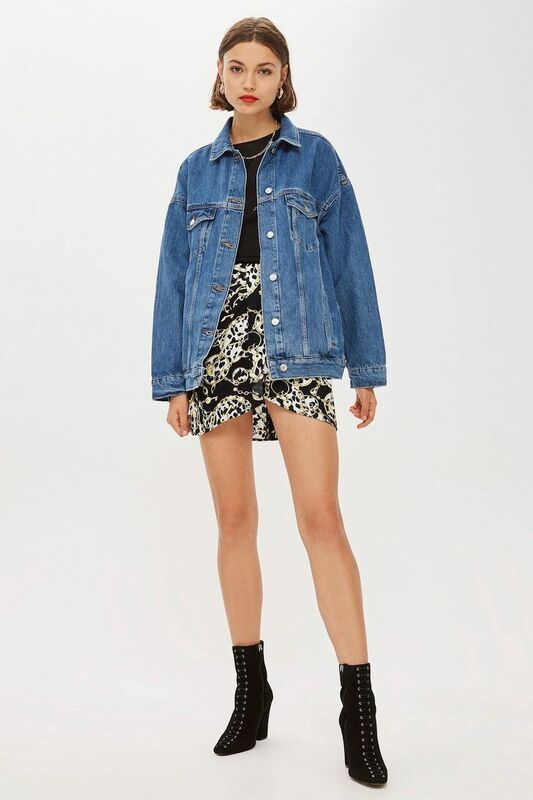 An oversized denim jacket is a casual, cool summer staple that is migrating into the warmer months. This trend is ideal for Miami days when the weather is brisk and beautiful. Roll up your sleeves and adorn your jacket with pins and patches to create a unique dimension and one-of-a-kind look. Snug sherpa is a favorite warm material for fall. 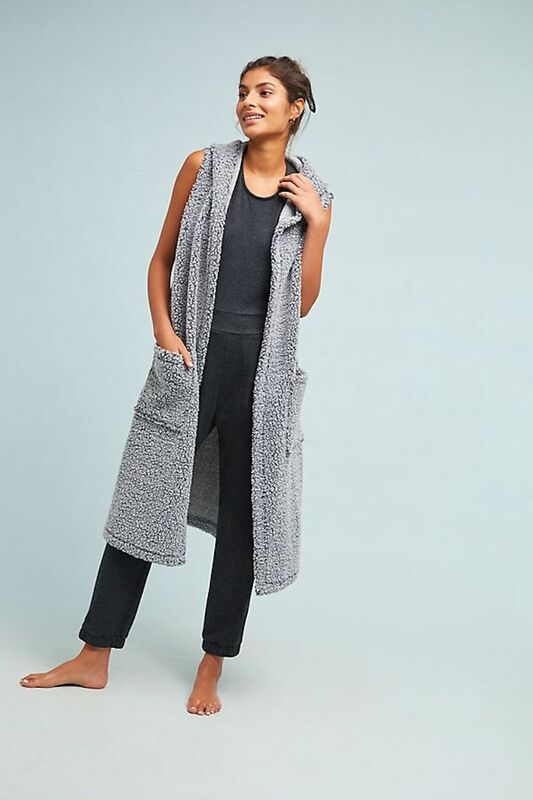 This hooded vest is a fun way to feel “in” on the winter weather without wearing a full-on coat. It’s breathable enough for a typical Florida day, making it the perfect option for loungewear. Another must-have fabric for the season is velvet. Because the Magic City loves to be a little “extra,” you’ll want a jacket to match. 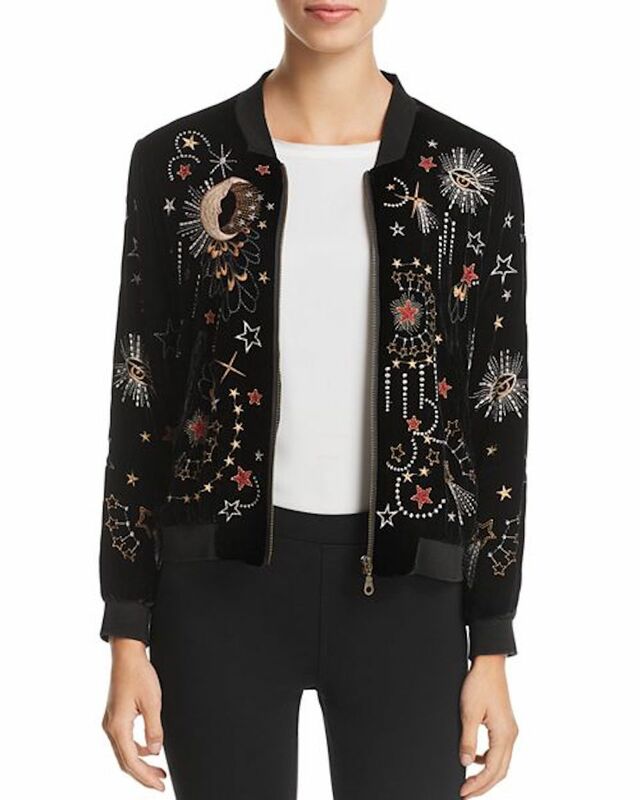 This Johnny Was embroidered velvet bomber jacket is an eclectic conversation starter to add to any look.